Give This Girl a Hand for Her Personality Filled Hand Paintings. Colors Used to Playfully to Define Shape, Shadow & Contour. I've always been fascinated by hands and their role in creating. 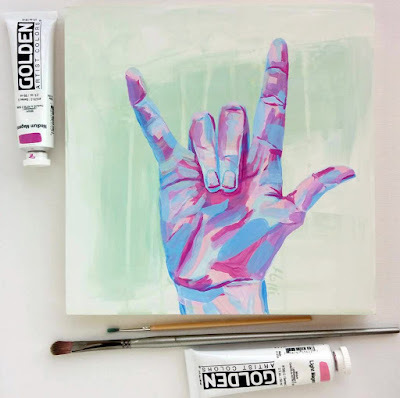 What a great source of inspiration and a clever way to test your skills, especially if you are the lovely and talented Holli Hartman. I can't get over the fun and expressive ways she paints something so commonplace. 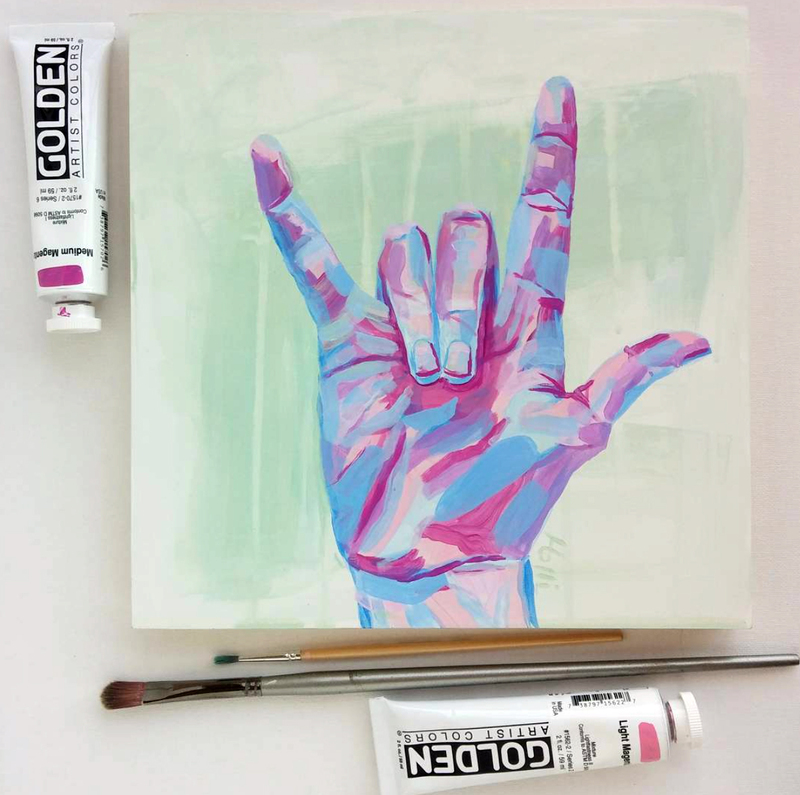 Holli's work, while of hands, is anything but finger painting. 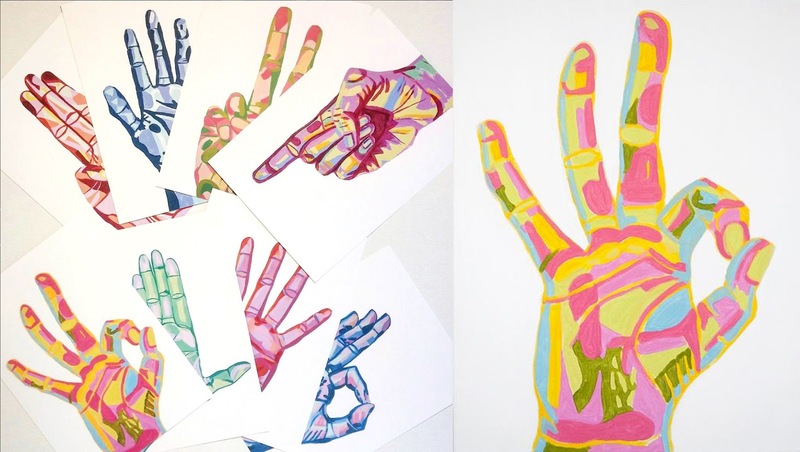 She very artfully maps out the contours of each hand gesture in very lively ways. She must stare at the highlights and shadows for hours to replicate them so faithfully. I can feel my hand making that gesture with every piece. Her shapes are very realistic, but I love the choice of bold, eye catching colors. 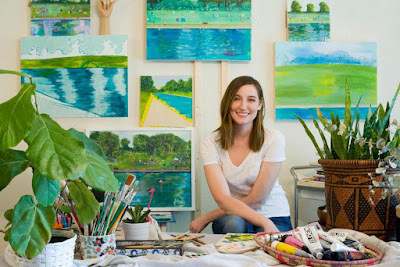 Given the personalities that she says inspire her work, it's no wonder she uses color to capture some of their character. Seems very fitting for Austin! Also fitting is her love of some classic Austin landscapes. Barton Springs specifically, painted with many of the same bright colors. 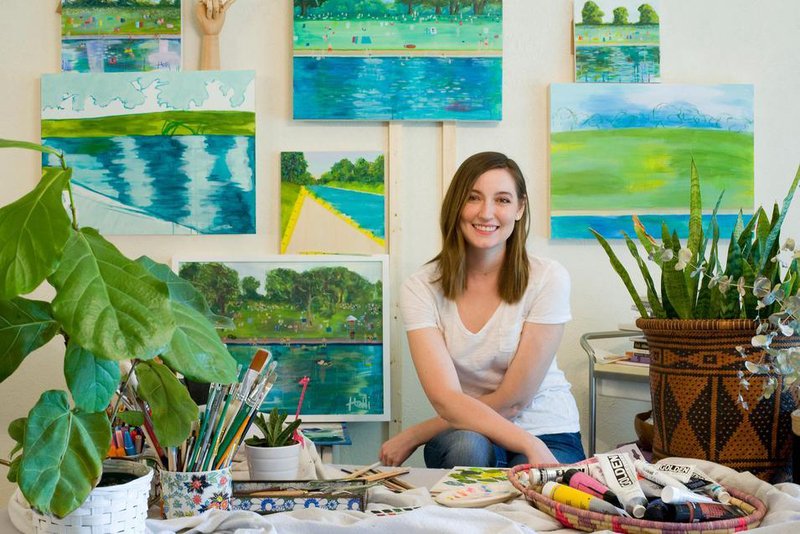 Keep an eye out for one of Holli's pieces on this year's Austin Art Boards. I definitely need to chat with Holli about adding her hands to my photo series on the same topic. He style if one-of-a-kind and on my list of personal favorites.